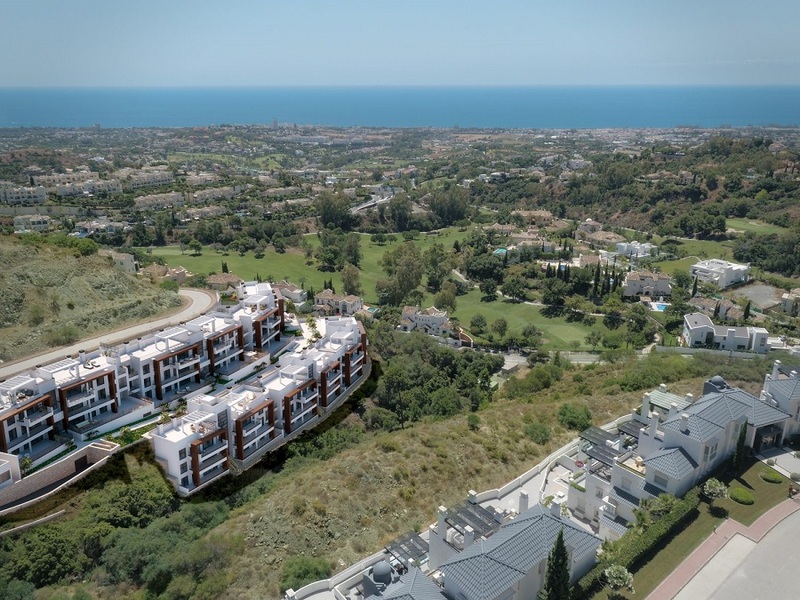 Modern apartments Benahavis for sale off-plan. New-build project. 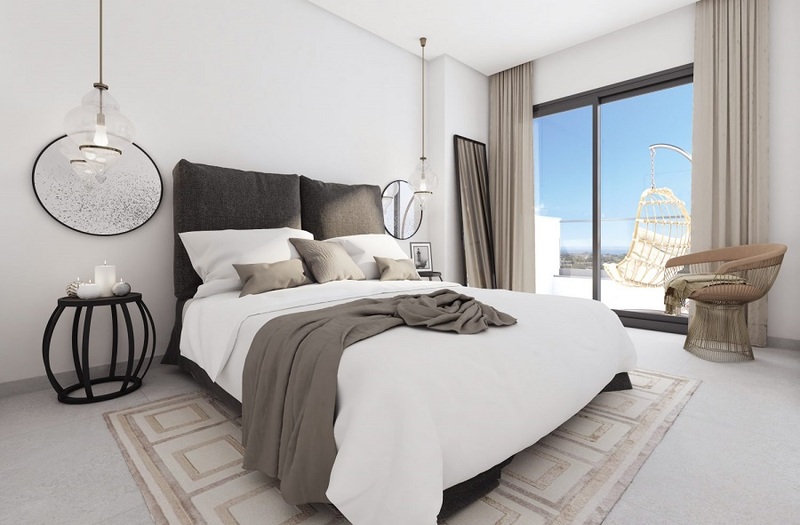 This spectacular 2, 3 and 4 bedroom apartments project has 3 contemporary low rise buildings. 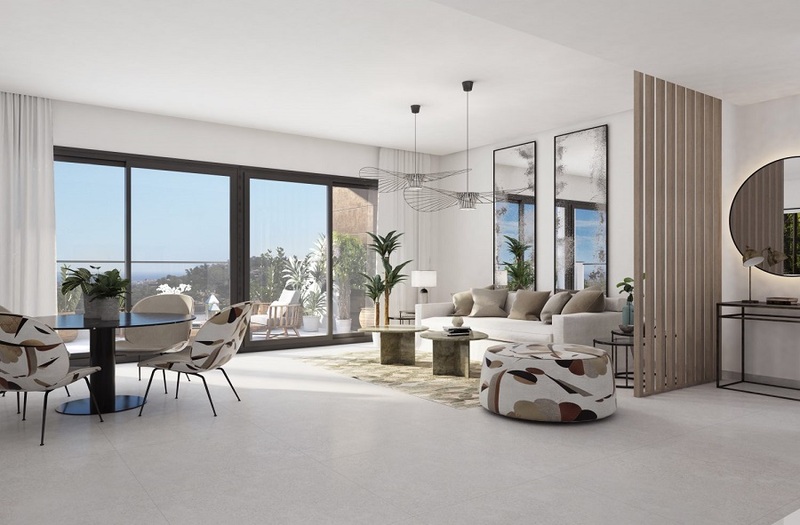 The modern apartments Benahavis face south or southwest offering abundant natural light that the careful design of large windows provides. 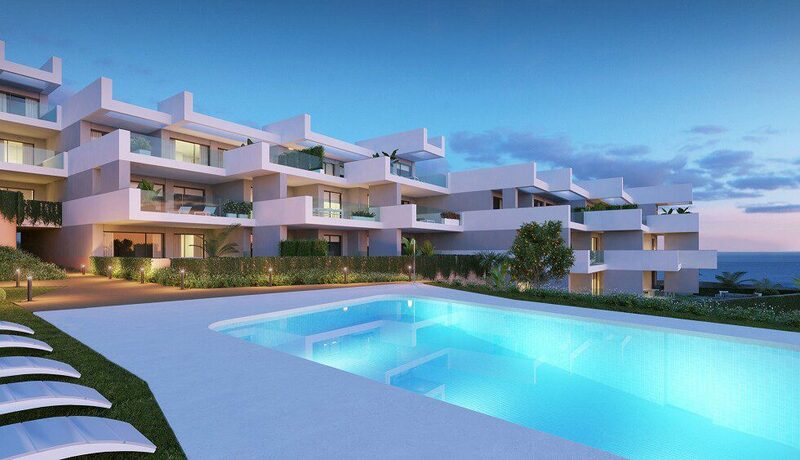 An attractive complex of modern apartments Benahavis that is synonymous with quality. In a style that perfectly adapts to the natural environment. And with an elegant and avant-garde design that maximizes the views of its homes. Each apartment also comes with a storage room and minimum 1 parking space in the basement. 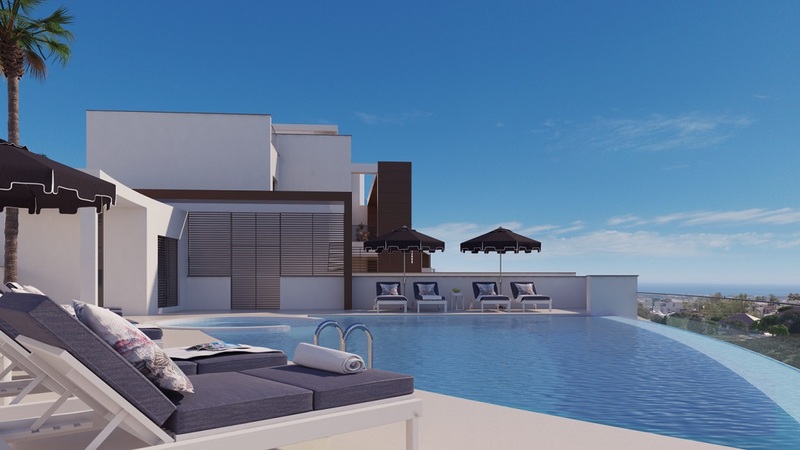 Inside the complex, the penthouses have large sun terraces and gardens with private use. 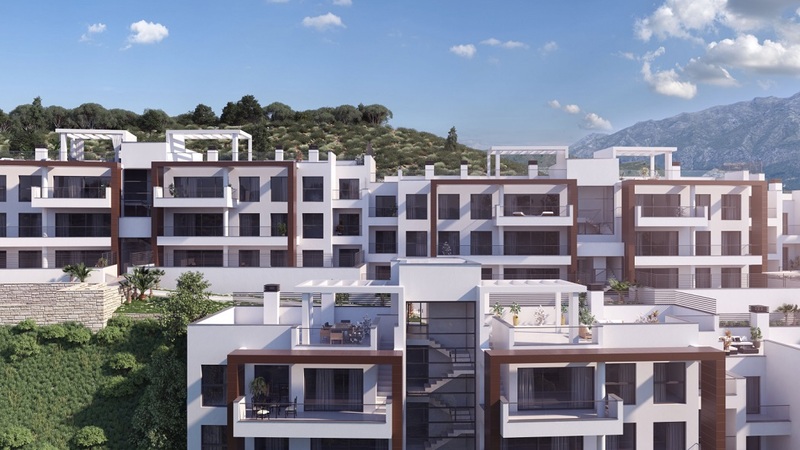 Ground-floor apartments have outstanding terraces of more than 100 m2. 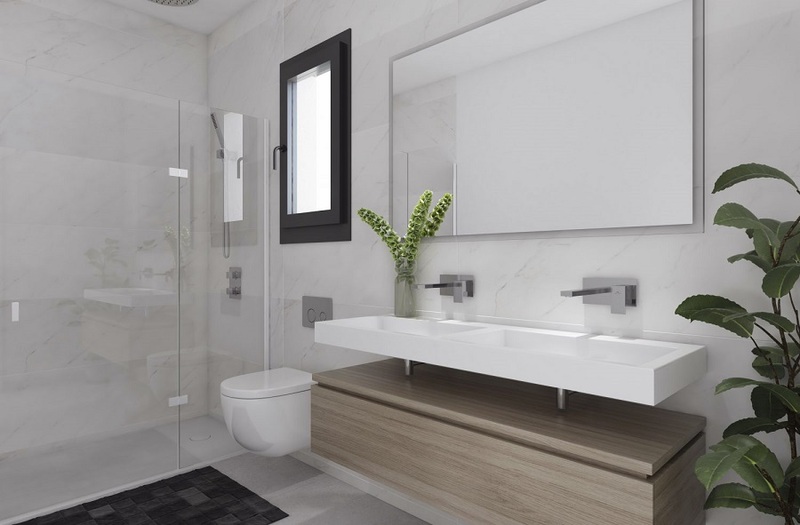 The practical and modern apartment layout results in functional rooms that take full advantage of the space. 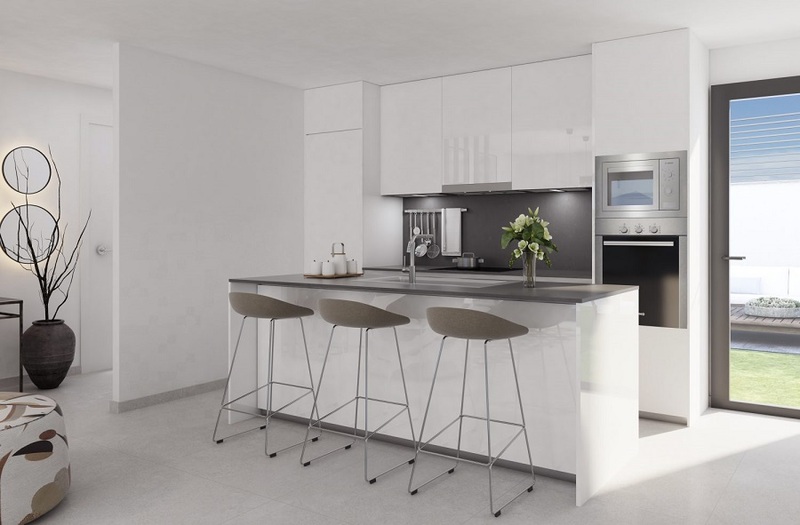 Apartments boast spacious and light-filled living rooms and dining rooms. 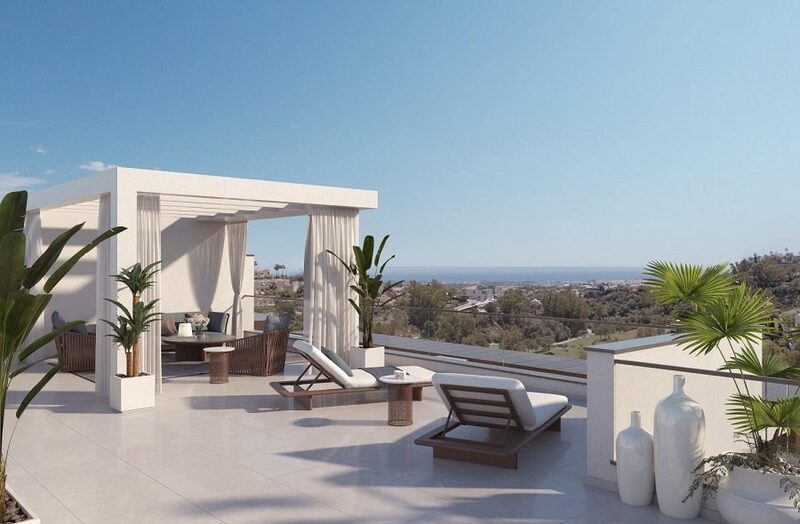 Large windows access out on to the generous terraces, which feature glass railings to provide open views. 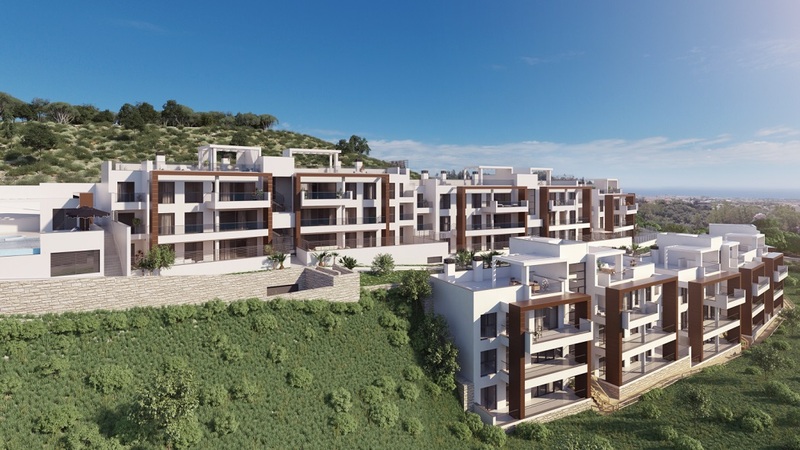 The communal areas will include gardens with native plants that guarantee a low water consumption. Enjoy peace and tranquility around the pool and the superb sun terrace. 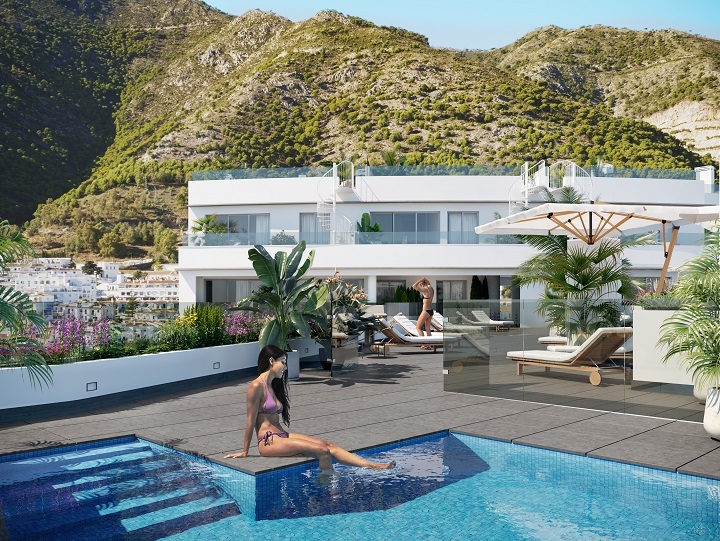 You will enjoy more than 300 days of sunshine in this paradise on the Costa del Sol. The gym is a valued addition enabling you to stay in shape with ease. For security and comfort, this modern complex is enclosed.